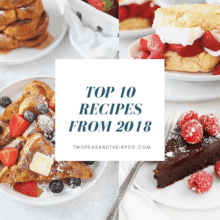 The Top 10 Recipes on Two Peas and Their Pod in 2013! We love them all! 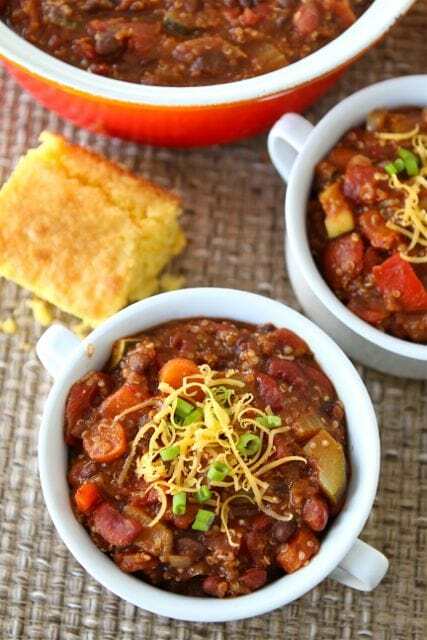 It’s the end of the year and that means it’s time for us to share the Top 10 Recipes from 2013. These are the most viewed recipes on our site from the past year. I am always surprised by the Top 10. There are some good ones on the list this year. Did your favorites make the Top 10? Drum roll…..starting with number 10 and counting them down to number 1. 9. 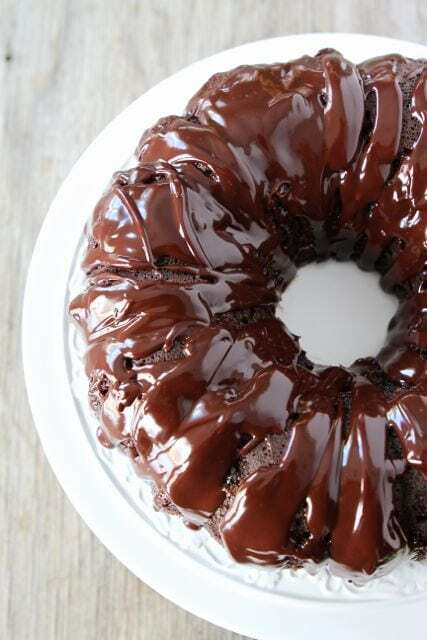 Chocolate Sour Cream Bundt Cake-I wasn’t surprised this cake made the list. It is my favorite chocolate cake and I am glad you like it too! 8. 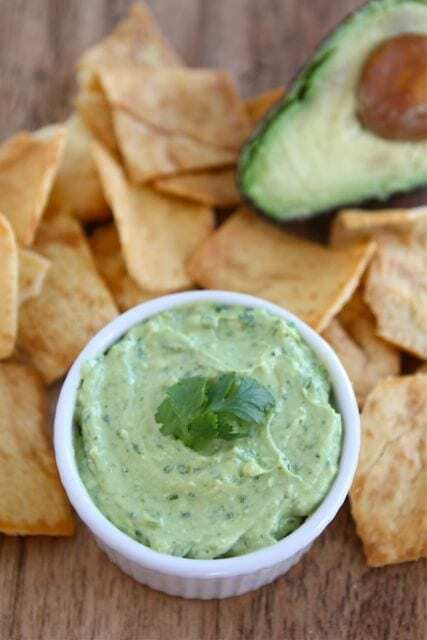 Creamy Avocado Yogurt Dip-my favorite dip! It definitely deserves to be in the top 10. 7. 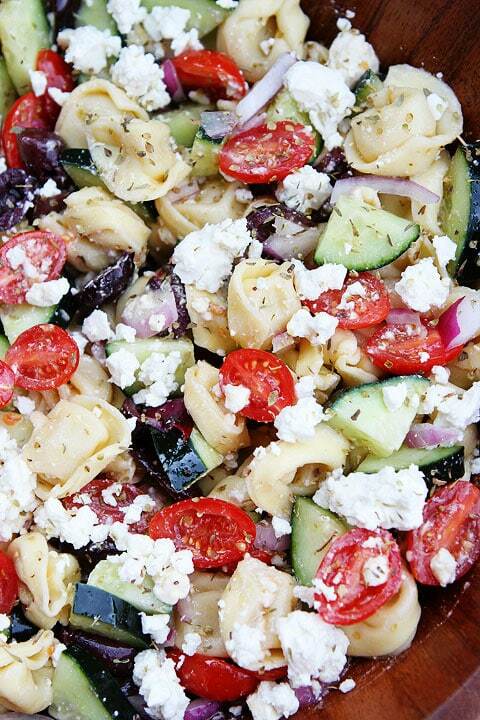 Greek Tortellini Salad-I made this salad in the summer and it quickly became a favorite! 6. 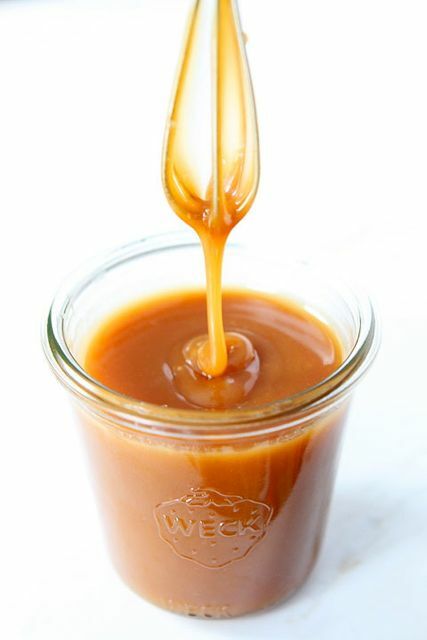 Salted Caramel Sauce-this sauce is good on just about everything! So happy it made the list! 2. Baked French Toast Muffins-these muffins are fun to make and to eat! Glad they were a hit! 1. 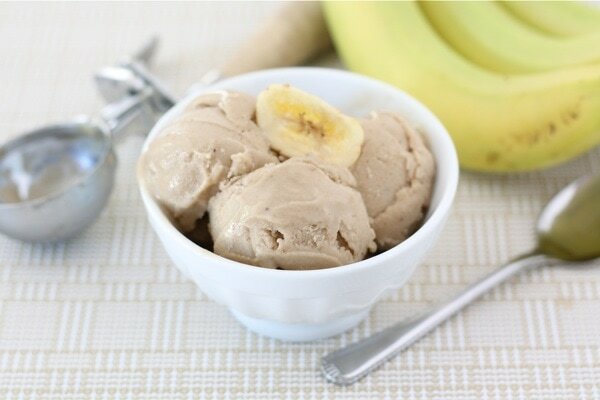 Two-Ingredient Banana Peanut Butter Ice Cream-this recipe was named one of the most pinned recipes in 2013 by Pinterest. Thank you Pinterest for keeping our Two-Ingredient Ice Cream popular! 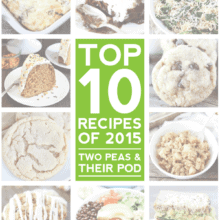 We’d love to hear what recipes you would like to see on Two Peas and Their Pod in 2014. Leave your suggestions in the comments! Thanks! 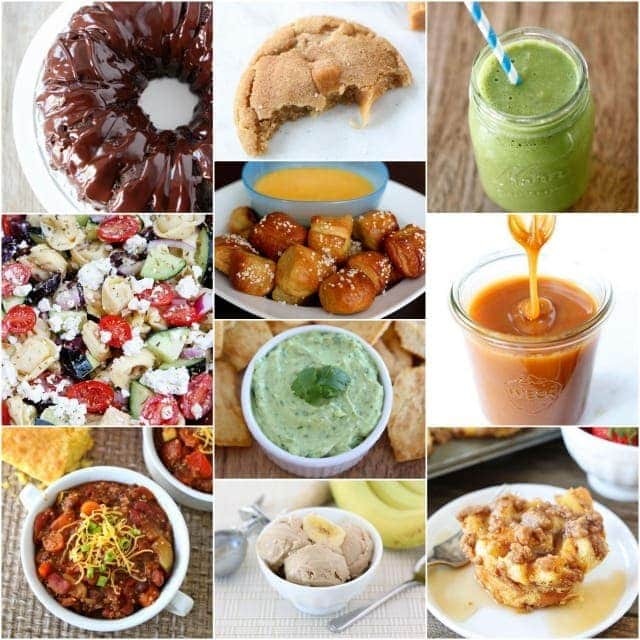 Oh my goodness, so many yummy looking things to try in 2014! Those french toast muffins and caramel brown butter snickerdoodles have my name alllll over them! I just sent the green smoothie recipe to my son who has some major health issues. I’m sure this will be good for him. Yum! I wanna try all of those!!! 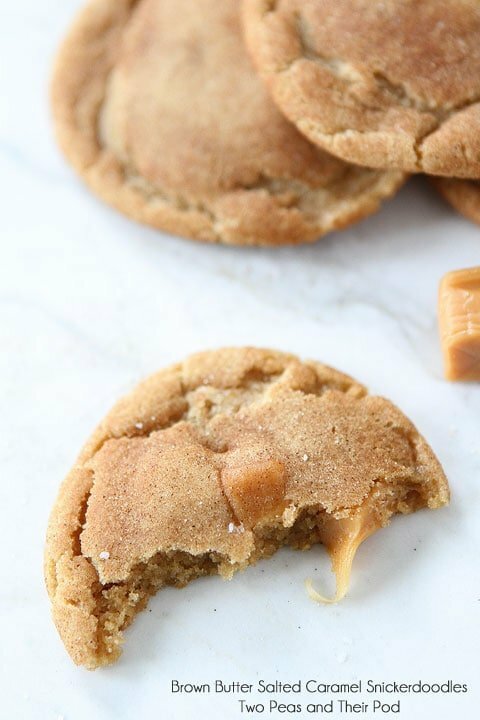 I made your snicker doodle cookies so I can agree those should be on there! Isn’t it funny how some posts become your most popular, and others than you think would be a hit are lesser viewed! My training posts are extremely popular which is surprising to me…..but if people want to read about my running career then even better! 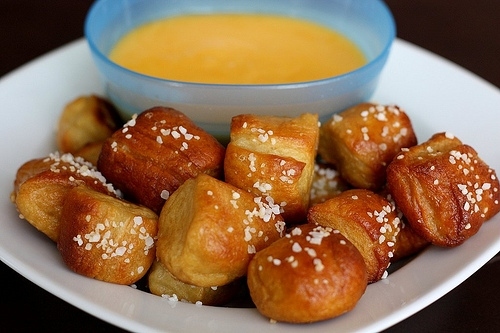 I’ve had those pretzel bites on my baking bucket list for a while. Need to do a beer version, though. 🙂 Happy New Year! What a wonderful list! Thank you! I think the two ingredient Peanut Butter and Banana Ice Cream was my number 1 too! 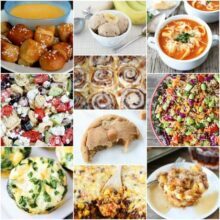 Greek Tortellini Salad and Vegetarian Quinoa Chile are favorites here! 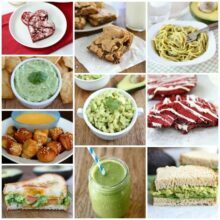 Thank you SO much for all of your wonderful recipes!! Oh, another favorite is the rosemary pretzels! YUM!! Great list & heres to wonderful 2014! Wishing you and your guys a wonderful 2014! I LOVE These lists!!! I am going to put mine up this week- so fun!! I am literally drooling over your top recipes!! So happy I finally got to meet you in person this year Maria. I hope our paths cross again in 2014!! What a collection! I’ve already pinned all of these, but I need the reminder to make them sometime! 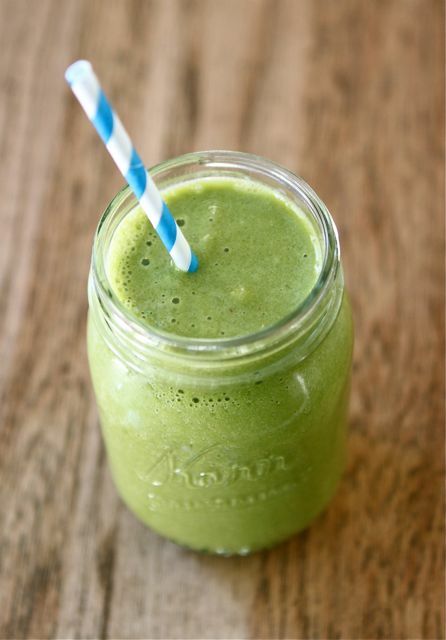 I am so glad the green smoothie made it on the top ten! Yum! 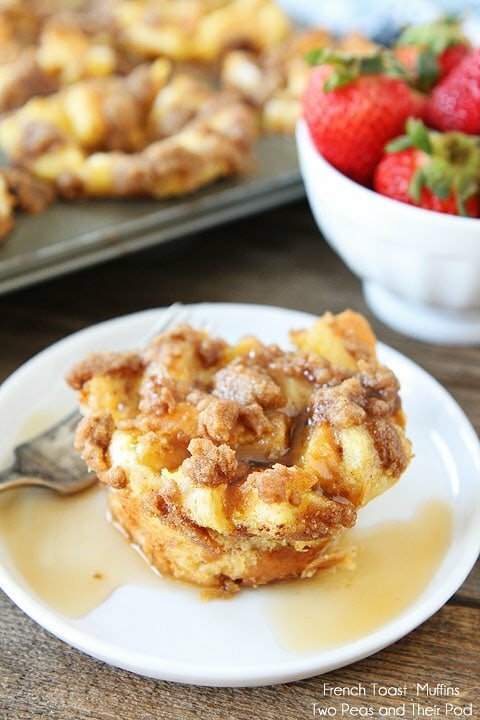 These French Toast muffins look delicious! Happy New Year! I’ve enjoyed following your work in 2013. Looking forward to more in 2014!